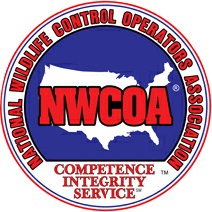 Hogarth’s Wildlife Removal specializes in Porcupine eradication. Porcupines are large, slow moving rodents with a coat of sharp spikes, or “quills”, which they use to protect from predators. These quills lie flat and are mixed amongst soft furs until they feel threatened. Contrary to popular belief, these mammals cannot shoot their quills. The quills release upon being touched or pressed up against. Porcupines have round bodies with black to brownish-yellow fur and strong, short legs. The soles of their feet are hairless, which helps them climb trees. They prefer to rest in trees, though they do have dens that they sleep near and stay close to in the winter. Porcupines are mainly active at night. Unfortunately they can pose as a structural nuisance for property owners. They enjoy chewing on wood, whether it be trees, decks, or wooden furniture and siding. 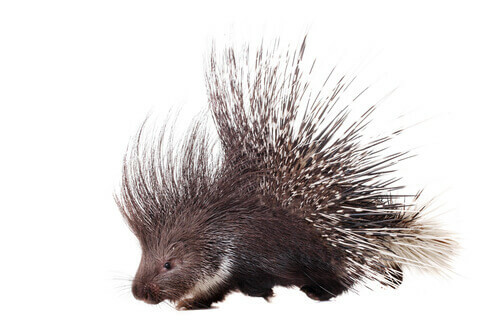 Porcupines are also a threat to pets, especially dogs. If you notice a Porcupine hanging around a structure, call a licensed wildlife professional to relocate the animal. If your animal has been quilled, call a veterinary office immediately. The quills are hollow and hooked at the end, so removing them can be extremely painful. Even if your animal allows you to remove them, infection can occur if not properly treated. The best means to control a porcupine problem is by trapping and relocation. It is important that we advise customers to avoid all contact with these animals as they can cause harm. At Hogarth’s Pest Control & Wildlife Removal, we specialize in this type of eradication and are eager to help you. Give us a call today!